The annual YBC Staff Golf Trip was again a huge success. After last years visit to Hereford the decision was made to return to Wales this year. 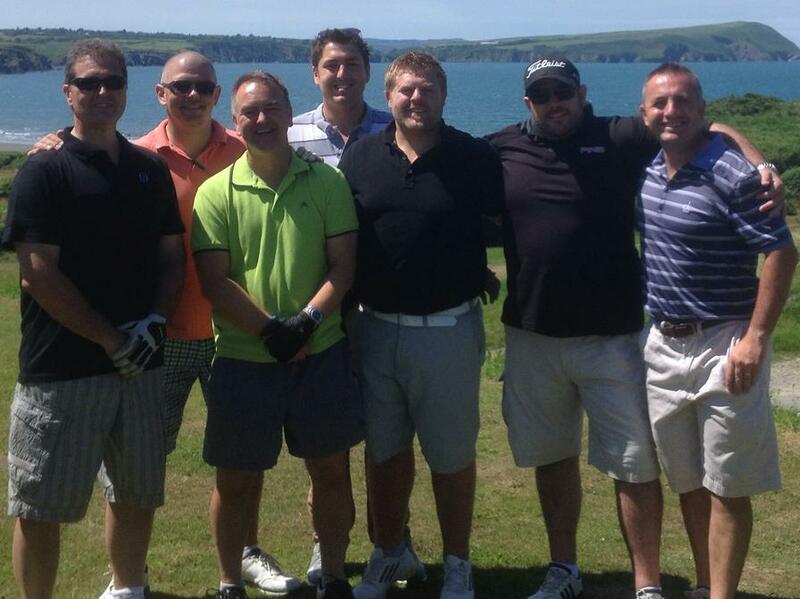 On the 21/22 July 2014 a group of staff including guests Mr Carwyn Williams (new Assistant Head) and Mr Phil Haynes (Deputy Head at Greenhill School Cardiff) played at the Newport Links Golf Course in Pembrokeshire. The weather was fantastic and the course in excellent condition. Mr Sean Jenks managed to win the coveted trophy and Mr Gareth Lewis took the prize for the longest drive.